By now you’ve probably heard about the Late 2016 MacBook Pro with its impressive Touch Bar, high price, and lack of ports. In order to make Mac laptops thinner and lighter, Apple decided to drop almost every port in favor of USB-C Thunderbolt 3. It’s future-proof, they said. What about using this new MacBook Pro in the present? Dongles, they said. I’ve used both the Late 2016 13″ and 15″ MacBook Pro for the past two months. I wanted to use them as much as I could so that my assessment would be fair and even-handed, not merely a gut reaction to the trimmed-down offerings and increased prices. Unfortunately I can confirm the new MacBook Pro lineup is full of compromises. The good about this lineup is what we’ve come to expect and count on from Apple – high build quality and materials. 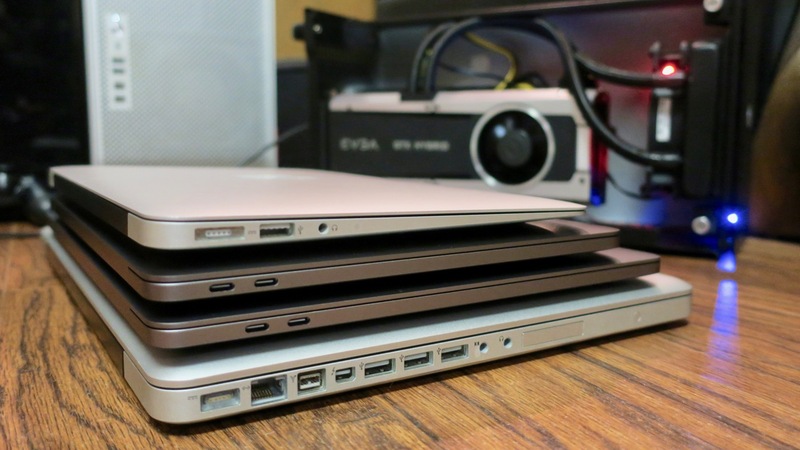 This generation of MacBook Pro seems even more solid than the last. There’s very little to no flex in the unibody construction when you grab the laptop by the bottom case with one hand. The display is brighter with very good color accuracy. The speakers provide high-fidelity, clear sound. The new hinge mechanism is very smooth to operate with one hand. Next are the polarizing features of this new MacBook Pro. The trackpad is large, uncomfortably so. I found my right palm resting on it more, which has caused accidental inputs. The 15″ MacBook Pro’s trackpad is enormous. The second generation butterfly keyboard is definitely an improvement over the first iteration of this keyboard in the MacBook 12″. It still doesn’t give very satisfying feedback due to the limited travel of the keys. Perhaps the most anticipated feature is the Touch Bar. I can see this strip of touchable glass on top of the keyboard becoming more useful in the coming months and years with further development by both first-party and third-party implementation. As of right now, it doesn’t do anything better than the old function keys. It’s a fun novelty to play with but not a worthy replacement of the F-keys. Nearly everything I can do with the Touch Bar I can do more quickly and easily with the trackpad or keyboard shortcuts. I do like the security feature of the Touch ID/Power button and wish it was available with the non-Touch Bar 13″ MacBook Pro. The major downside is what we’ve all heard by now. This laptop has exactly two types of input/output ports. The main one is Thunderbolt 3/USB-C connection. The other one is an audio jack, which Apple had already courageously deemed outdated during its iPhone 7 release. Yes, you can theoretically use every existing peripheral as long as you have the right dongles/adapters for them. But each dongle will cost you. The backlash against the high cost of dongles caused Apple to temporarily reduce the price of Thunderbolt 3 and USB-C accessories to expedite adoption rates. 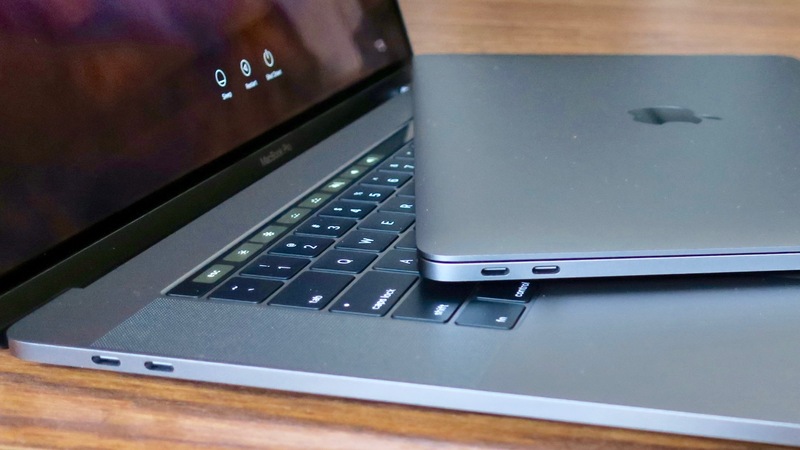 Unless you’ve been using the 12″ MacBook which has the USB-C port, the likelihood that one of your peripherals already makes use of this new type of connector is extremely low. On top of that, there’s the predictable confusion that results from having an identical port form factor for both USB-C and Thunderbolt 3. This means you must double-check whether your peripheral requires USB-C or Thunderbolt 3 to ensure you get the right dongle. Apple has always been one of the pioneers when it comes to making new technology mainstream. This time, they’ve gone too far. In the past the drop of I/O support tended to be limited to a specific technology such as FireWire in 2013, optical drive in 2012, etc. This new release of the MacBook Pro dropped all of these ports: MagSafe, Ethernet, SD card slot, standard USB, and HDMI. People would be okay with the omission of the Ethernet port as Apple has been phasing it out on its thinner Mac laptops. No HDMI port on the Pro lineup may be a stretch, but it could be looked past in due time. Getting rid of standard USB ports, SD card slot, and MagSafe is unacceptable. The Late 2016 13″ MacBook Pro only comes with Intel integrated graphics card without any build-to-order options for discrete GPU. The top-of-the-line graphics card for the 15″ version is a Radeon Pro 460, which is the equivalent of a budget graphics card on a PC, the Radeon RX 460. 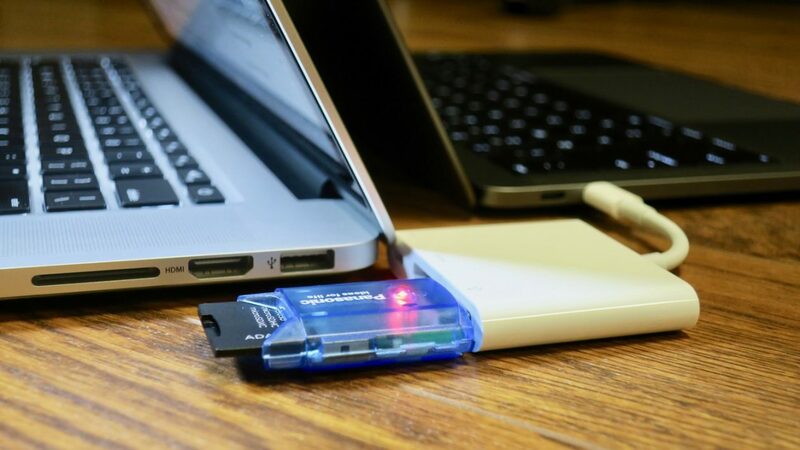 Because of the inadequate performance offered by the stock graphics card, many have begun to look into external graphics card solutions through Thunderbolt connectivity. The Late 2016 15″ MacBook Pro is certainly not a laptop I would recommend to anyone, professional or otherwise. 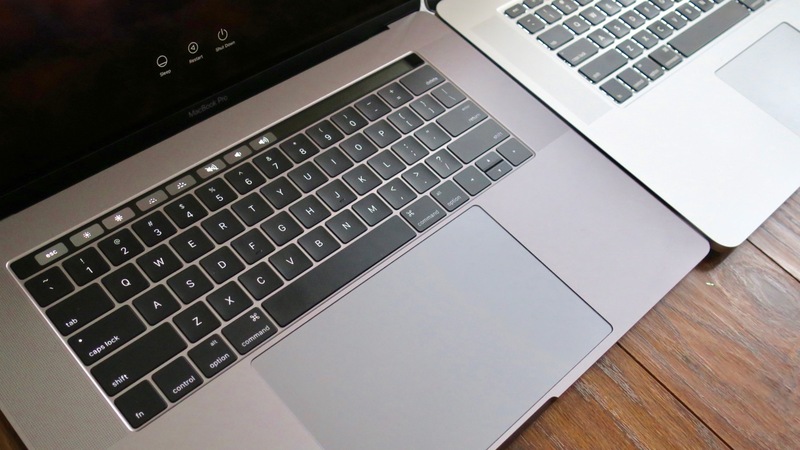 The 13″ non-Touch Bar model is a solid Mac laptop if you view it as a replacement to the discontinued MacBook Air. It’s not up to the standards of a MacBook Pro though, and should not be branded or priced as such. I recommend buying the 2015 version of the MacBook Pro while you still can. The “new” Apple is building products against the very philosophy Steve Jobs had for the company. He stated publicly that Apple products are tools to amplify human abilities; that’s not the case anymore. Each new generation of Macs takes away useful and practical features to be thinner and lighter. The consumer is now forced to adapt to Apple products, not the other way around.